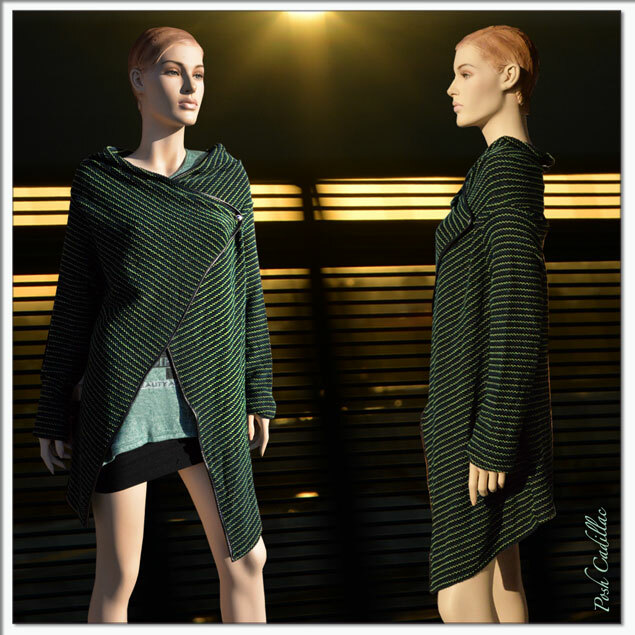 Add a tint of color to your Winter mood with a fashionable knitted cardigan of lime green and black stripes. Adding to it’s character, a faux leather finish and two gold button fastening (one external and one internal, assuring good draping of cardigan fabric). 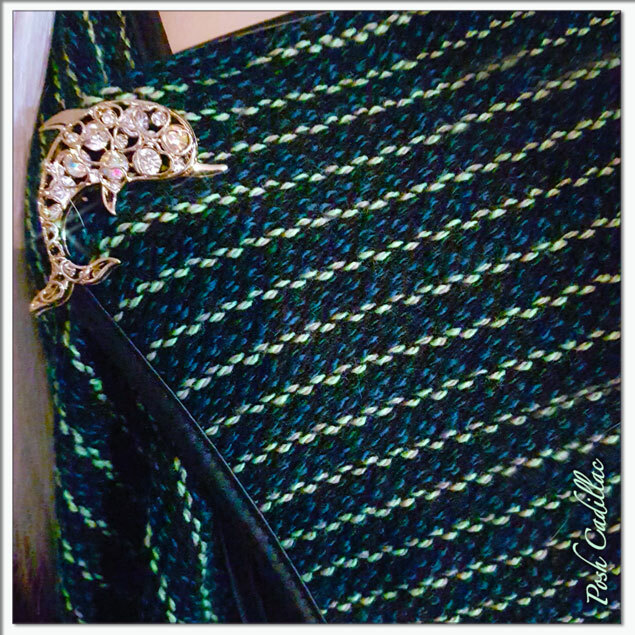 Golden dolphin decorative brooch not included (check link below or under jewellery for availability or other brooches you might like). A brooch helps in fastening the design both directions (otherwise regular fastening as displayed on images). Modern draping for neckline.